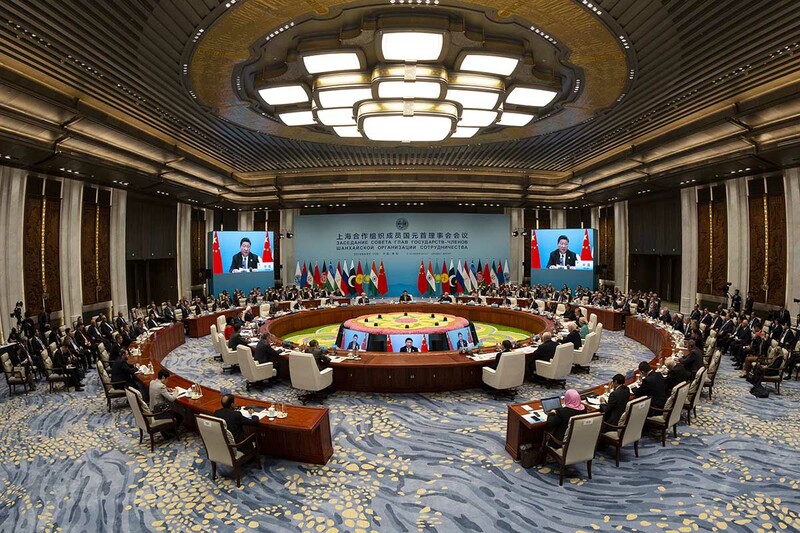 At the Shanghai Cooperation Organization (SCO) Summit held from June 9 to 10, Chinese President Xi Jinping elaborated on his vision of global governance with the Shanghai Spirit at its core. The Shanghai Spirit, a set of values followed by the SCO, features mutual trust, mutual benefit, equality, consultation, respect for cultural diversity and pursuit of common development. Over the past few years, Xi has frequently raised proposals on global governance and solutions to international issues at multilateral events, the most enduring of which is a community with a shared future for mankind. Xi's vision on global governance is radically different from the Western model. The idea of a community with a shared future for mankind is based on China's history, wisdom and path toward modernization, but it is also a universal global governance concept. Many ancient civilizations had one common dream—for all humanity to become one community. In China, this notion is called datong, or great unity. The idea of datong contains a critical issue—universal security and order, which are the primary concern of the political philosophy of almost all civilizations. But modern theories in the West have overemphasized the importance of freedom and human rights and therefore been unable to respond to issues of security and order. A better world can be achieved by solving the challenges to security and order on a larger scale, so that adversarial relations can be transformed into amicable ties based on the allocation and compromise of interests and power. China is the only country in world history to have solved challenges to security and order within its borders during its thousands of years of history. In the Western Zhou Dynasty (1046-771 B.C. ), China invented a system named tianxia (land under heaven), turning the known world into a common political community through non-violent means. After the third century B.C., successive dynasties built East Asia into a safe and orderly community through arrangements such as the bureaucratic, vassal and tributary systems. This community, with a hierarchy in place, is obviously not in line with modern values, but the hierarchy was necessary for maintaining order, unlike the conquests of Mediterranean civilizations in ancient times and the medieval period and the economic exploitation of the Western-dominated world system in modern times. In the mid-19th century, Western powers forced China to open its door and become part of the system of international relations they led, of which the foremost premise was anarchy. In fact, anarchy in international relations is a long-standing tradition in Western history. For thousands of years, Western civilizations have been unable to escape the survival contest between countries characterized by an "us versus them" mentality, except perhaps for the Roman Empire, which to a certain degree managed this. The rise of capitalism exacerbated this crisis. Despite calls to realize unity and lasting peace in a certain way, Western powers became mired in two world wars in the first half of the 20th century. It is because of this tradition that Western-led global governance never really addressed the issue of universal security and order after these wars came to an end. Cooperation and governance in the West are built on having a common enemy. They focus on how to win, rather than genuinely answering the question of how to build a better world. The so-called governance of the West is simply imposing Western policies and ideologies upon target countries, undermining their political authority and national capabilities, as well as assimilating them into systems with Western rules and value chains. This means can never achieve real governance, but rather leads to political disorder and even humanitarian catastrophes. When the West has everything under its control, its sophistication shows; but once a crisis begins to emerge, its actions expose its true attitude toward international relations. U.S. President Donald Trump has pulled his country out of the Paris climate agreement, the Trans-Pacific Partnership multilateral trade pact and the Iran nuclear deal, and has even threatened to put an end to security guarantees for and trade cooperation with its allies. The so-called governance advocated by the West for decades has turned to anti-governance over the past several years. On the other side of the equation, Xi's Qingdao speech demonstrates Chinese traditional wisdom and China's global responsibilities in modern times. Xi specified the vision of lasting peace and universal security, addressing the core questions of global governance head on in a gesture rarely seen in decades. Indeed, democracy, freedom, the rule of law and human rights are nothing but buzzwords in a world without peace and security. Xi's detailed proposal is to realize common, comprehensive, cooperative and sustainable security in the world. Xi also reiterated China's appeal for democracy in international relations. While Western countries have been promoting their standards of democracy around the globe, they have never accepted the concept of democracy in international relations. Why? Because for Western countries, democracy is a system for sharing power and interests that applies only to "us," not "them." In the West, democracy is only applicable to state politics, not to world politics, because international rules have to be set by the West. Xi's proposal for democracy in international relations is not a strategy targeting the West, but a call for action, as he later put forth his perspective on global governance for achieving shared growth through discussion and collaboration. Discussion means that rules have to be set by all countries together, achieving real democracy in international relations. Confucius said, "The noble-person searches for harmony without uniformity, but the petty-person searches for uniformity without harmony." Seeking harmony in diversity is one of the virtues of noble people, and applies to an ideal of international relations. Different countries and civilizations are like musical notes—only by being different can they compose music. On the other hand, the Western concept of governance could be described as uniformity without harmony. As German sociologist Norbert Elias put it, modern Western societies tend to think of themselves as civilized while thinking of anyone different from them as uncivilized. The end of the Cold War further intensified this arrogance crystalized by Francis Fukuyama's end-of-history ideology. The West has been promoting its values of freedom and democracy worldwide, hoping to reshape the world in accordance with its will. While upholding diversity domestically, the West seeks supremacy globally. Ultimately, the international community has not become more uniform but has instead lost harmony. The Chinese approach to global governance emphasizes "harmony without uniformity." At the SCO Qingdao Summit, Xi proposed equality, mutual learning, dialogue and inclusiveness between civilizations, saying that countries should overcome cultural misunderstandings, clashes and supremacy through exchange, mutual learning and coexistence. In the nearly 70 years since the People's Republic of China was founded and 40 years since reform and opening up began, China has proved to the world that a path different from that of the West is feasible. Without unquestioningly accepting Western values and standards of democracy, China has maximized its people's wellbeing. Without blindly adopting Western economic theories, shock therapy and privatization, China has achieved remarkable economic growth. China, through its efforts, has become the only country in the world that realized industrialization without colonizing, plundering, transferring problems to others or waging wars. When China put forward the concept of a peaceful rise at the beginning of the century, the West questioned it, but today China has realized this goal, the only country to do so in the past 500 years. China's development has broken almost every Western creed, showing that the Western way is not the only way and that it is possible to explore another path to development. The preeminent feature of the China model is that there is no fixed model. If China can do this, then other countries can too. In practices of international cooperation and governance, China has proven the possibility of harmony without uniformity. Early in 1953, Chinese Premier Zhou Enlai put forth the Five Principles of Peaceful Coexistence—mutual respect for sovereignty and territorial integrity, mutual non-aggression, non-interference in each other's internal affairs, equality and mutual benefit, and peaceful coexistence. China has been treating all countries of the world with mutual respect, peace and mutual benefit ever since. China's aid to Africa, for example, has no political strings attached. Although criticized by Western countries, it is welcomed by the African people, which is the best rebuttal to Western accusations. The China-proposed Belt and Road Initiative starts from infrastructure construction and connectivity, making practical improvements to development conditions along the Belt and Road routes and laying solid foundations for future peace and prosperity. When the United States attempts to launch trade wars with a number of countries, China reiterates its support to the multilateral trade system and advocates an open world economy. At multilateral events such as the UN General Assembly, the World Economic Forum in Davos, the G20 Summit and the SCO Summit, China has consistently offered its constructive proposals and solutions to global problems, striving to deliver certainties on security, order and prosperity amid escalating turbulence and uncertainty. 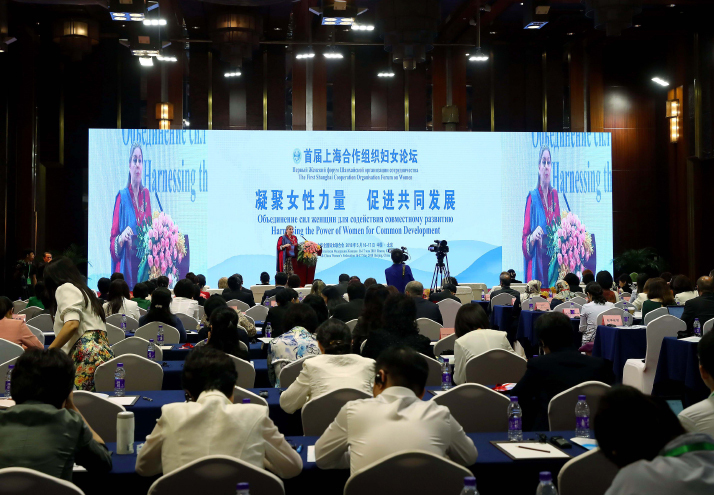 China believes that civilizations prosper through diversity and that international harmony is built on diversity.